Marat Kleiner is an associate attorney with the immigration law firm of Law Offices of Michael J. Gurfinkel, Inc.
Marat Kleiner received his Bachelor of Arts degree from the University of California, Santa Barbara in 1994, and received his Juris Doctor from Southwestern University School of Law in 1997. While in law school, Marat specialized and focused his concentration on Immigration Law and International Law. He is fluent in Russian. Prior to joining the Law Offices of Michael J. Gurfinkel, Inc., Marat specialized in immigration law working for a prominent Beverly Hills law firm. 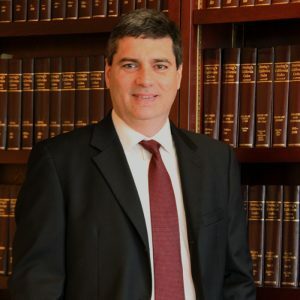 He practices the full range of immigration law and specializes in employment-based immigrant and non-immigrant visas. Atty. Kleiner has successfully represented hundreds of clients before the U.S. Citizenship & Immigration Services (legacy USCIS). Atty. Kleiner is admitted to practice before the Supreme Court of California, the U.S. Court of Appeals for the Ninth Circuit, and the U.S. District Court for the Central District of California. He is a member of the Los Angeles County Bar Association.